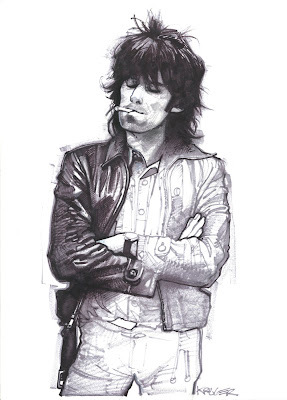 Presented here is the eighth drawing 'Keith II'. Mixed media on paper, 27.7 x 35.5 cm (10.9 x 14 inches). 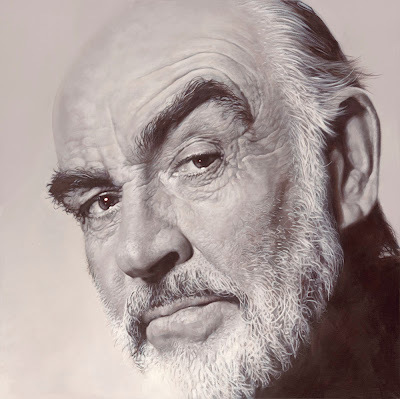 Introducing, an acrylic painting on canvas of Sean Connery. Size: 60 x 60 cm (23.6 x 23.6 inches). 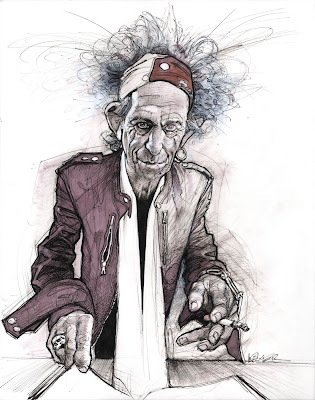 Presented here is the seventh drawing 'Keith'. Marker on paper, 29.7 x 42 cm (11.7 x 16.5 inches). 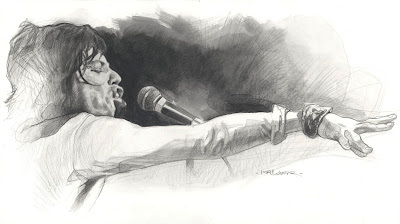 Presented here is the sixth drawing 'Jagger'. Acrylic mixed with colour pencil on paper, 42 x 23.2 cm (16.5 x 9.1 inches). 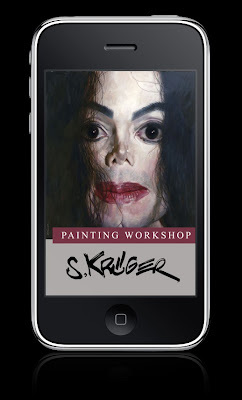 Please visit artistsketchbooks.com to get a free Krüger workshop documentary on your iPhone. Enjoy the app and share it with your friends. 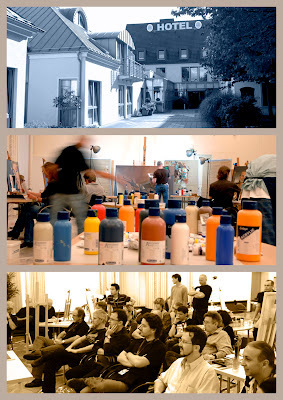 Krüger's next master class will take place September 12-16, 2011 at the Sporthotel Fuchsbachtal in Barsinghausen, Germany (close to the Hanover Airport). 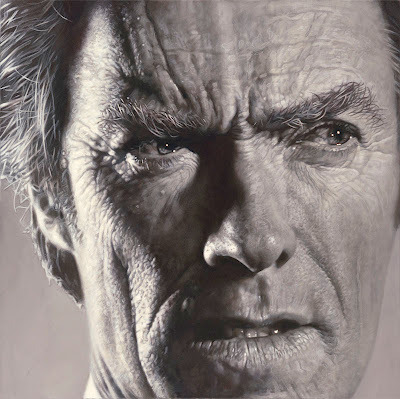 The main focus of Krüger's 2011 workshop will be preparation for portrait painting and working with acrylics. Registration is now open for all interested! 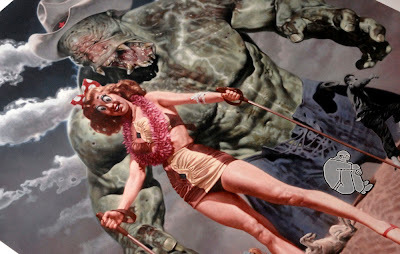 The deadline to register for Krüger's 2011 workshop is April 30, 2011. The Workshop event is limited to a maximum of 30 participants. Artists and friends may register now by sending an email to Bernd with complete contact details. To learn more about the hotel and location please visit: Sporthotel Fuchsbachtal Barsinghausen. "I look forward to seeing you all at the 2011 workshop." 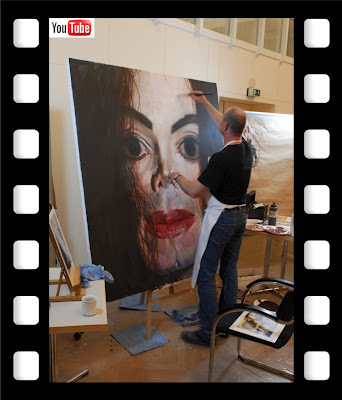 Sebastian Krüger paints Michael Jackson. 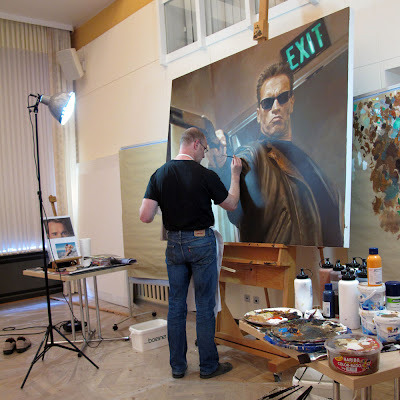 An awe inspiring video montage of Sebastian Krüger’s live painting demonstration to a group of artists attending his 2009 Krüger Art Workshop. 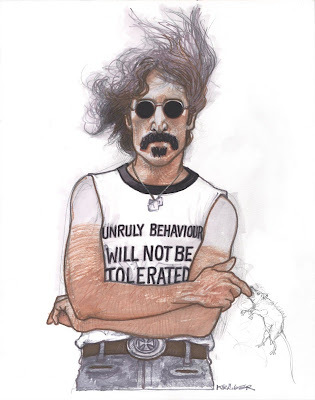 Presented here is the fifth drawing 'John Lennon as Zappa'. Marker on paper, 27.7 x 35.6 cm (10.9 x 14 inches). 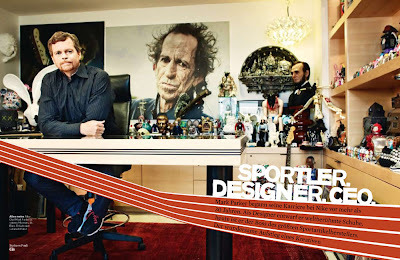 The German magazine “Business Punk” featured Nike CEO Mark Parker in their 02_10 issue. 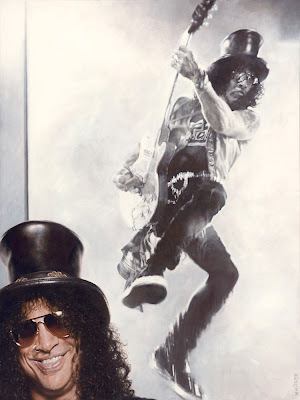 Patrik Giardino’s photo shows Parker, an art enthusiast, at his desk in front of two Krüger original paintings from his private collection; “Jimi Hendrix” and “Keith Richards”. 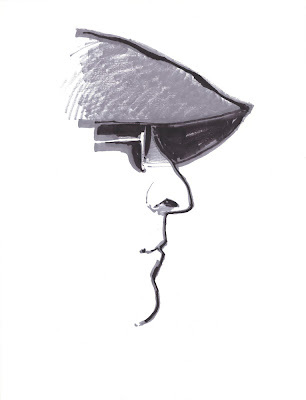 Presented here are three more drawings of 'John Lennon'. Marker on paper, each 29.7 x 42 cm (11.6 x 16,5 inches). People flew in from all over the States to witness the unveiling of Sebastian Krüger's "Mr. R&F'n'R". With over 70 collectors present, Sebastian signed copies of his new art book "Faces" and autographed artworks. 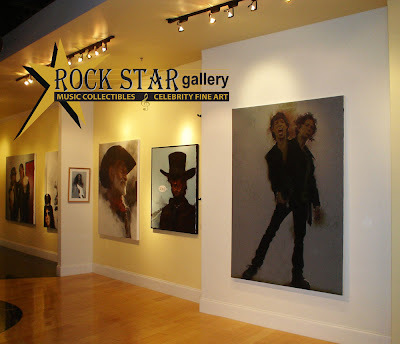 Rock Star Gallery presents "Get Krugerized" the exclusive West Coast art exhibit of Sebastian Krüger. 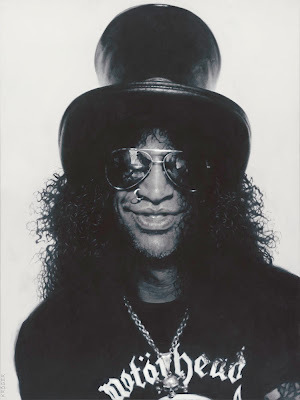 The show will feature original iconic personality portraits and very limited master art prints. 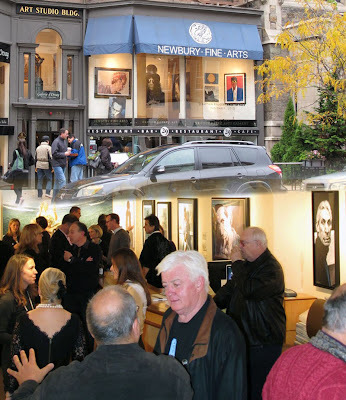 It is with great enthusiasm that Newbury Fine Arts anticipates the second Boston One Man show for Sebastian Kruger. 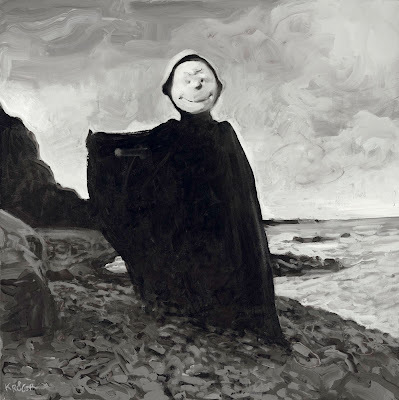 'Face to Face' is the exclusive East Coast exhibit of recent original paintings, unique drawings and extremely limited master art prints. Introducing, a brand new acrylic painting on board "Mojo Man". Size: 74.5 x 97.8 cm (29 x 38.5 inches). 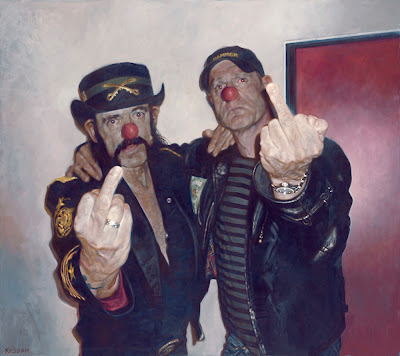 Krüger's painting "Mr. R&F'n'R" will soon be available in a world edition of only 28 prints and 3 artist proofs. 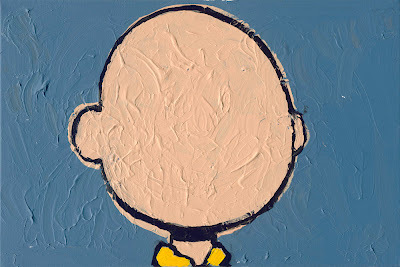 A 1:1 size exhibition edition will also be published (edition size: 5 + 1). 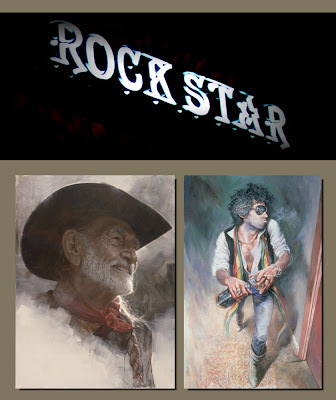 Limited edition prints on canvas, signed and numbered by Sebastian. Acrylic on canvas: 200 x 160 cm (78 x 63 inches). 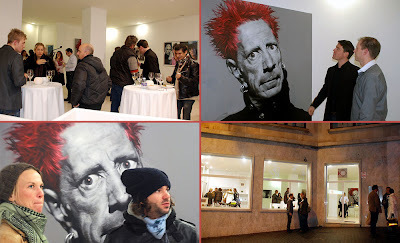 Krüger's 'Art Tour' autumn 2010 commenced in Palma, the capital city on the island of Majorca, Spain, where collectors and fans had the chance to see 18 new works from Sebastian Krüger at Galeria K on Calle Can Veri N°10. A special thank you to Daniel Marx and his team. This year 30 Artists from 12 countries came to Barsinghausen/Germany to join Krüger's Workshop. 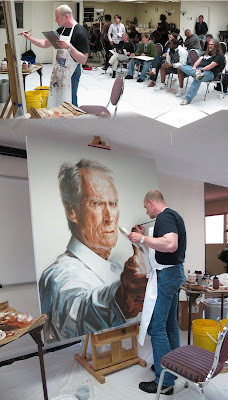 Sebastian gave a live presentation on a large canvas (200 x 160cm). 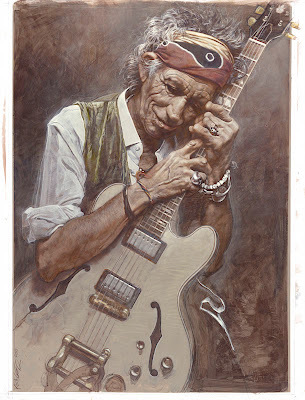 "Devil in Focus", Krüger's latest painting of Keith Richards will soon be available as a limited fine art print on paper. World edition of only 60 prints and 6 artist proofs. Signed and numbered by Sebastian. Acrylic on canvas: 120 x 160 cm (47 x 63 inches). 2010 acrylic painting on canvas. 60 x 60 cm (23.6 x 23.6 inches). 60 x 40 cm (23.6 x 15.7 inches). 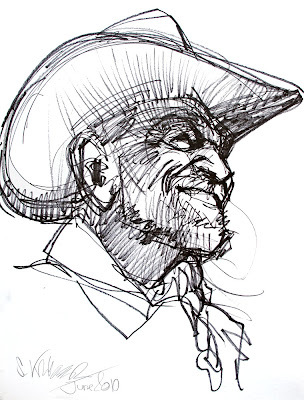 A preparatory sketch of 'Willie Nelson'. Introducing, a brand new acrylic painting on canvas "Medicine Man". 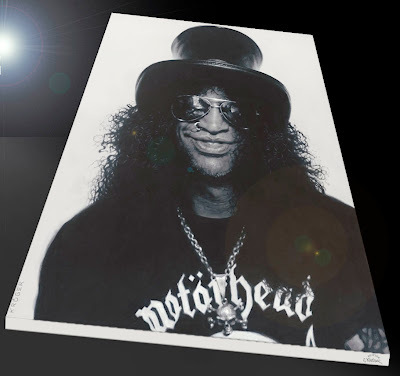 Size: 120 x 160 cm (47 x 63 inches). 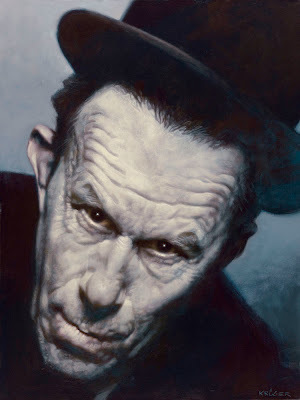 Introducing, an acrylic painting on canvas of Tom Waits. Size: 60 x 80 cm (23.6 x 31.5 inches). 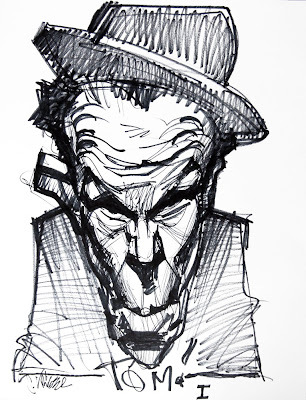 A preparatory sketch of 'Tom Waits'. 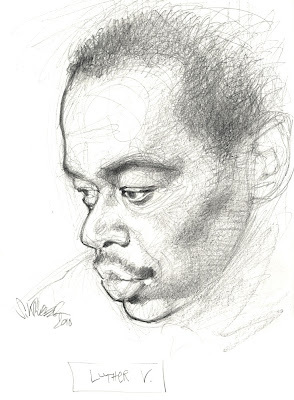 A sketch of 'Luther Vandross'. Pencil on paper, 29.7 x 41 cm (11.6 x 16.1 inches). 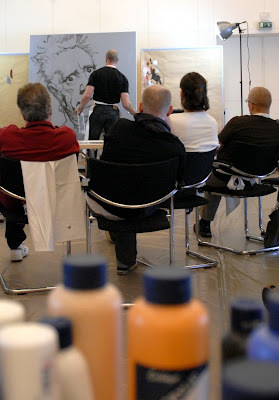 Registration for classes is full for our 7th Krüger Workshop (September 13th - September 17th, 2010). We will give a report about the event on our blog in September. Please contact Bernd for further details. 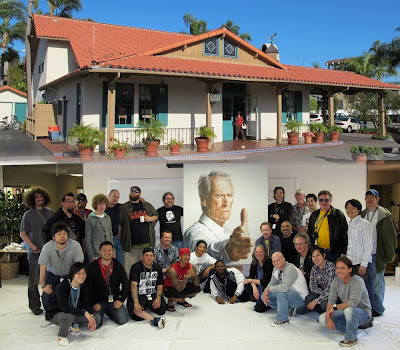 This year 29 Artists & Friends of Krüger came to Santa Barbara/CA to join Krüger's 1st US Workshop. Sebastian gave a live presentation on a large canvas, 160 x 180 cm (60 x 72 inches). 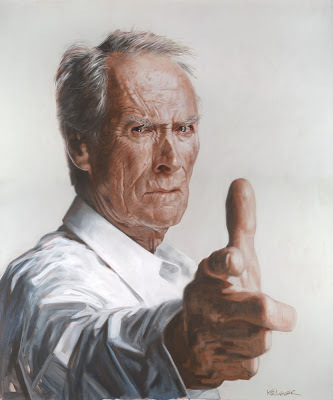 Above, Krüger paints Clint Eastwood ('Here's lookin' at you Dude...') in acrylic. In December 2009, Gallery “Kaschenbach” from Trier,Germany opened a branch in Palma, the capital city on the island of Majorca, Spain. 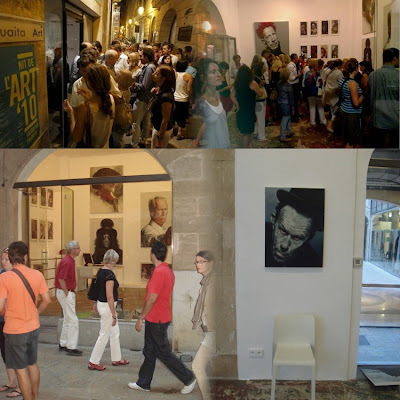 "Galeria K", a gallery for modern fine art, is located in the center of Palma and is orchestrated by Daniel Marx. 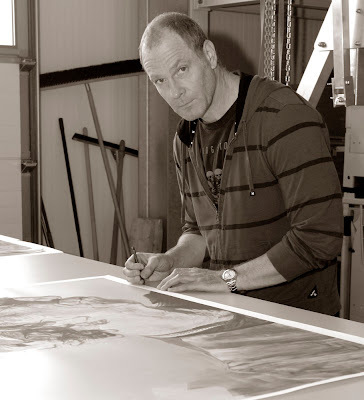 An array of Sebastian Krüger's originals, serigraphs and limited edition prints are on permanent exhibition. 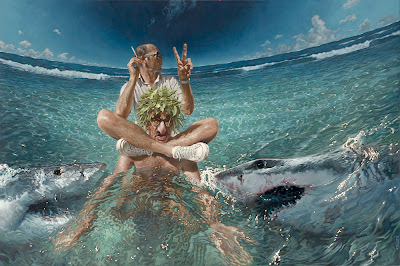 Please enjoy some images of the opening where Krüger's art was highlighted. Thank you to Daniel Marx and his team. See you soon in Palma! Krüger's spectacular painting "Sleepwalking" will soon be available in a world edition of only 25 prints and 3 artist proofs. A fine art print on paper, signed and numbered by Sebastian. Brand new from the studio! 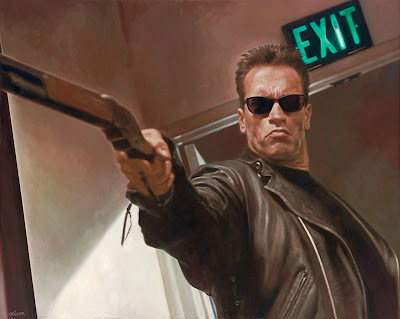 Sebastian just finished his latest painting titled "Trust me, I'm a Doctor!". Acrylic on canvas: 240 x 160 cm (94 x 63 inches). 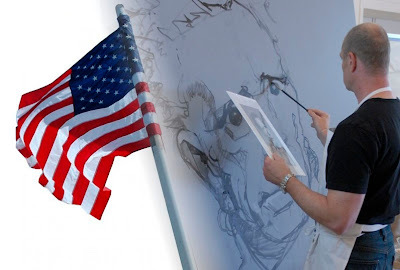 Registration for classes is full for our 1st US Krüger Workshop (May 21st - May 23rd, 2010). We will give a report about the event on our blog in May. 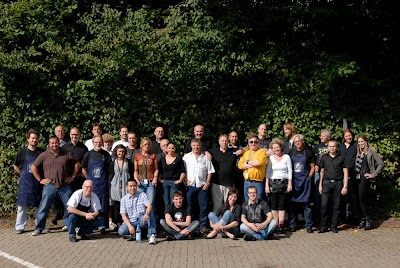 There are still some spots available for the Krüger Workshop in Germany, taking place September 13 -17, 2010. Please contact Bernd for further details. On February 23rd two of Sebastian’s paintings “Sleepwalking” and “Smiling like a Killer” were introduced on the Japanese broadcasting station “TUF”. This 2009 workshop documentary allows artists, galleries, collectors and ‘friends of Krüger’ to gain an insight into the magic work of Sebastian Krüger. 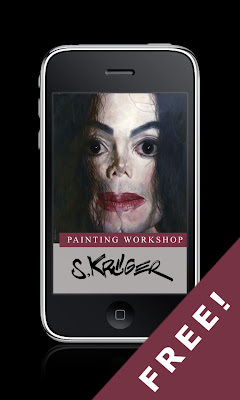 Please enjoy Krüger’s workshop documentary which includes 31 working steps (photos) of his painting "Neverland calling", painted with acrylic on canvas. 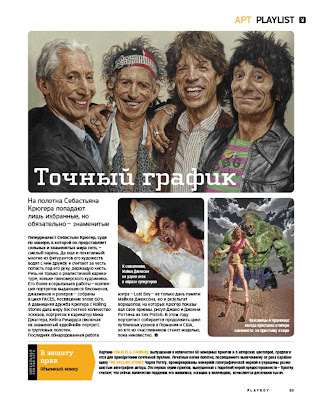 We will soon publish a new app showing the documentary of the second painting. Please stay tuned! This year's workshop will take place September 13-17, 2010 at the Sporthotel Fuchsbachtal in Barsinghausen, Germany (close to Hanover Airport). 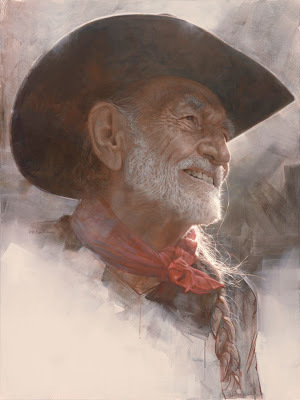 The main focus of the 2010 workshop will be preparation for portrait painting and working with acrylics. Registration is now open for the 2010 Krüger workshop! The deadline to register for the 2010 workshop is April 30, 2010. The workshop event is capped at a maximum of 20 participants. Artists can register now by sending an email to Bernd with complete contact details. If you'd like to find out more about the hotel and location please visit: www.gilde-sporthotel.de. "I look forward to seeing you all at the 2010 workshop." The first official Krüger Workshop in the United States will take place from May 21st until May 23rd in Santa Barbara, California. The official Hotel and workshop location is the Best Western 'Pepper Tree Inn' Hotel. 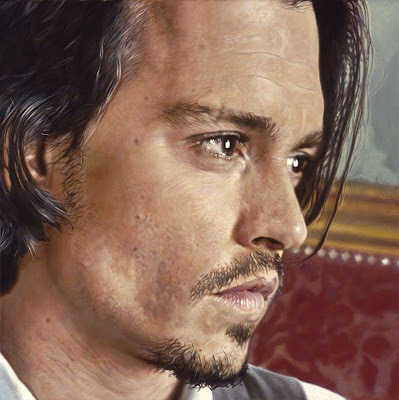 During the workshop Sebastian will give a live demonstration by painting a portrait with acrylics, start to finish. 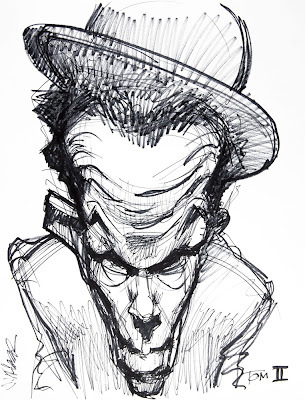 All registered participants will have the opportunity to draw and sketch with Sebastian. The number of spots is limited! Artists can register now by sending an email to Bernd with complete contact details. See you soon in Santa Barbara.